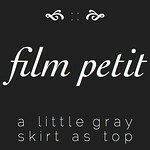 a little gray: LTTSA: Play Town Link Up! LTTSA: Play Town Link Up! This was definitely the most fun I've had with a sew along project so far! It really surprised me how much I liked fussing over some of the details, which was well worth it. I'm really happy that I had to finish this today- Elsie's birthday present is ready almost 2 months early. So unlike me. I made a pretty elaborate gift for Hendrix's first, so I really wanted to do something special for hers too. I still plan on making some type of play mat to go with it, but I don't think that will be quite as much work. I love the round window on this one. I used a blanket stitch on some windows, zig zag on others, and a few rounds of wonky straight stitches on others. (Both wonky and straight? Yes.) The brownstones have a very convenient scrap of text fabric for embellishment, as well as some other street scenes on the backs I didn't take a picture of. The wood grain is a Joel Dewberry Aviary home dec fabric and the other brownstone is Essex linen in black. So I should have explained earlier about the foam, but I'll share my pointers for anyone who is still working on their project. At Joann Fabrics, they sell upholstery foam in different thicknesses in sheets. In my local Joann, they are in the back by the batting and pillow forms. You need a 4" thick piece, then you can take it to the cutting counter and get them to cut it down to the size you need. The piece I got, shown above, is 1/3 of a yard, which I paid about $13 for with my 40% off coupon. As you can see, I had a lot of it left after cutting out my five buildings, so I probably could have got away with 1/4 yard. I just used one of our steak knives and it wasn't hard to cut. I traced the templates on both sides of the foam so I could always make sure I was cutting straight thru it. In my opinion, it was well worth splurging on the foam over using stuffing. The shape and feel of the houses are great with it. Plus, every other thing I used, I already had on hand, so $13 is pretty good for a birthday present right? I completed hand stitching the bottoms this morning. You know this isn't my favorite part of any project, but the basting stitches she has you do on the bottom of all the walls really helped. I would have been a mess without those. And I think I'm finally getting the hang of blind stitching after having my mom tutor me about a dozen times. Time to share your projects- Remember this month's winner gets a pattern and clothing labels from Figgy's! 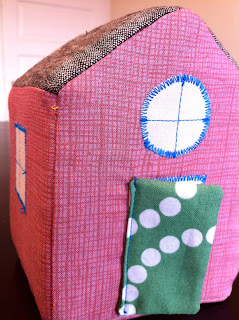 You have until one week from now, and as always, you can link up a blog post or flickr photo of any project from Little Things To Sew. So sweet. I'm hoping to make some in March. I'm just a bit behind in the sew along. I love your brownstones. so cute! I love the wooden house the best! Your little town is so adorable! Oh, my word! Those are just too cute for anything!! They make me wish I'd made some, because I love monkeying with little stuff like that, but I don't have a foam source nearby, and I don't even have enough of a variety of fabrics (maybe). And I don't know what I'd do with them once I got them done. ;) Yours are fantastic! ACK! So cute and it looks like it'd be really fun to customize. What a fun little birthday gift! You are ridiculous! These are brilliant and so cute! I love your mix of fabric. You must have a great stash. She's a lucky girl. i love those houses jessica! they are awesome! p.s. got something in the mail today... thanks! you are the best and i promise to return the favor! You did such a beautiful job on these! Oh my gosh, they are so cute. I love all the details you used. Seeing this set makes me want to make my own set right now. I love it! These turned out great! Thanks for the tip on the foam...I needed it! Can't wait to stuff mine and get them done! Oh my gravy... Those are soooo darn cute!!!! LOVE THOSE!!!!! Can't wait to get my foam this weekend. This was definitely one of the most fun projects. They turned out soooo cute. These are toys I would have loved to have as a kid. How incredibly cute!! i have finally dug out my copy of the book. i'm working on the penguin backpack for my little guy. 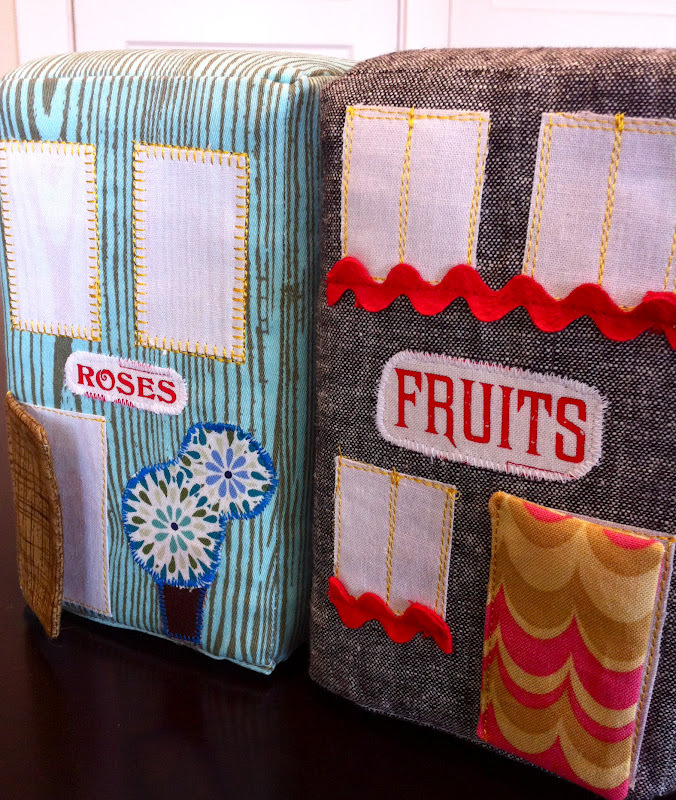 you picked out some great fabrics for this project. the roses and fruits stores in particular. you took something that looked like a bland project and made it really fun. I really love your town! Funnily, the town was one of the projects I first liked in the book! Maybe it's my heritage building background... nice job! Am I too late to get my selection in? Am I over the one week mark? Sorry. LOVE your little town. Your daughter will love it too. It seems I never did comment! I LOVE how your little play town turned out! The little signs and details are too perfect! One of these days I'll have to make one of these too. How cute would they be arranged with roads for playing with hot wheels! How very awesome! 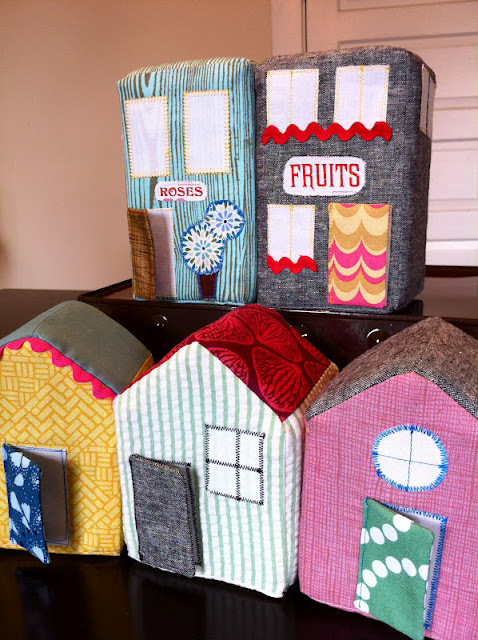 I'm thinking about making my niece a play town for her first birthday. Yours is such great fun! Thanks for sharing tips about cutting the foam. These turned out super cute! I agree with your first thoughts too. In the book I find them adorable& fun, but always skipped over actually "making" them. Lol. After seeing how cute yours turned out also, I may have to just make some.